We’d love your help. Let us know what’s wrong with this preview of The Dreamer by Pam Muñoz Ryan. To ask other readers questions about The Dreamer, please sign up. What was your most favorite character and why ? Hannah I know this sounds obvious, but Neftali was my favorite. This is because he is really relatable to me, being a dreamer myself. What career did neftalis father want his children to have? Pink He mainly wanted them to have practical jobs. He references doctors, dentists, and teachers to name a few. I loved the whole story. I read this out loud so my little sister could listen to me. She lay next to me and listened to every word and every sentence I read. She loved the illustrations in the book. They were epic! She loved it and critized Neftalís father. "Why is he like that? Why doesn`t he support his son?" she asked. She was inspired by the little boy Neftalí and his visions and his dreams. Neftalí may have been a little boy, but he was indeed a big man in the insid OMG this book was everything. Neftalí may have been a little boy, but he was indeed a big man in the inside with a big DREAM. This book needs more attention! This precious jewel of a book is marred only by not ending where it should have. Ryan and Peter Sis, who get equal billing on the jacket, have created an exquisite piece of art. Prose, poetry and picture are skillfully interwoven and seamlessly merged in the story of a sickly, dreamy boy who lives in Temuco, Chile. It's the perfect spot for a dreamer like Neftali, equidistant from the Pacific and the Andes, the roar of the sea and the rumbling of a volcano. It's the gateway to the Araucanian for This precious jewel of a book is marred only by not ending where it should have. Ryan and Peter Sis, who get equal billing on the jacket, have created an exquisite piece of art. Prose, poetry and picture are skillfully interwoven and seamlessly merged in the story of a sickly, dreamy boy who lives in Temuco, Chile. It's the perfect spot for a dreamer like Neftali, equidistant from the Pacific and the Andes, the roar of the sea and the rumbling of a volcano. It's the gateway to the Araucanian forest, home to the indigenous Mapuche people and exotic and mysterious creatures like the rhinocerous beetle and the Chucao bird. But Neftali's domineering father, determined to toughen up his son, continually works to constrict the boy's wandering mind and sensitive soul. The father feels that Neftali is too much like his gentle, departed mother, and relies too much on his kind stepmother. Through the power of words and images, which Sis, in his marvelous way, floats across the pages, the shy and meek Neftali learns to fiercely hold on to what makes him original and unique. He seizes the oppportunity to pour his creativity into print. And when his father burns his notebooks and papers, an ember still glows in the ashes of the fire. If only that was where Ryan and Sis stopped. Neftali turns out to be Pablo Neruda, and the authors, albeit briefly, insist on following him to college in Santiago and launching his career as a world-famous poet. Hayalleri paramparça eden balta mı? Yoksa bir başka hayal için yol açan tırpan mı?" ...kanatları aynı ritimle çarpan, kalpleri onun hayal edebildiği her şeyi hissetmeye can atan, sayısız insana iletene dek. Elime geçtiği gibi okudum diyebilirim. Kitabın içindeki o büyük puntolu çocuk kitabına benzeyen sıcacık havasıyla birlikte tatlı çizimlerini görünce bekletmeden hemen okumaya başladım. Tek kelimeyle bayıldım ve bu tarz kitapların benim için her zaman yerinin farklı olacağını bir kez daha anlamış oldum. Aslında bir yerde hala aklıma geldikçe suratımda tebessüm yeşerte ...kanatları aynı ritimle çarpan, kalpleri onun hayal edebildiği her şeyi hissetmeye can atan, sayısız insana iletene dek. Yazarının da vurguladığı gibi, kitap, Neftali Reyes'in (bilinen adıyla büyük şair ve yazar Pablo Neruda'nın) çocukluğunda başından geçen olaylardan esinlenilerek yazılmış şiirsel bir öykü. Sekiz yaşından üniversiteye gidene kadar geçen zaman dilimini kapsıyor. Pablo Neruda'yı, büyük şair oluşunun yanısıra, faşizme karşı duruşu ve Şili'li büyük önder Salvador Allende'ye verdiği destek ile de hatırlar ve biliriz. Kitabı okurken, bunu aklımdan hiç çıkarmadan okudum ve okurken çok büyük keyif aldım. Yazarının da vurguladığı gibi, kitap, Neftali Reyes'in (bilinen adıyla büyük şair ve yazar Pablo Neruda'nın) çocukluğunda başından geçen olaylardan esinlenilerek yazılmış şiirsel bir öykü. Sekiz yaşından üniversiteye gidene kadar geçen zaman dilimini kapsıyor. Pablo Neruda'yı, büyük şair oluşunun yanısıra, faşizme karşı duruşu ve Şili'li büyük önder Salvador Allende'ye verdiği destek ile de hatırlar ve biliriz. Kitabı okurken, bunu aklımdan hiç çıkarmadan okudum ve okurken çok büyük keyif aldım. Çevirisi de enfesti. Her ne kadar çocuk kitabı olarak yazılmış olsa da, sadece çocuklar değil, büyükler de mutlaka okumalı; bunu şiddetle tavsiye ediyorum :). I like reading poetry but I don't often care about poets. In fact, the less I know about them, the better. Nor do I like touchy-feely, dreamy-creamy, nothing's-real-OR-IS-IT stuff, either. And, come on--do kids? Nah. Shelley's review had it right, that this was a mix of "magical realism, biography, poetry and literary fiction." She thought it was nicely done and maybe so do I but what's the point of a nicely done children's book that no child will want to read? I feel like Pam Muñoz Ryan just as I like reading poetry but I don't often care about poets. In fact, the less I know about them, the better. Nor do I like touchy-feely, dreamy-creamy, nothing's-real-OR-IS-IT stuff, either. And, come on--do kids? Nah. Shelley's review had it right, that this was a mix of "magical realism, biography, poetry and literary fiction." She thought it was nicely done and maybe so do I but what's the point of a nicely done children's book that no child will want to read? 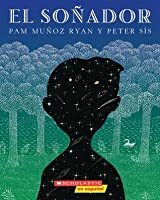 I feel like Pam Muñoz Ryan just asked her publisher, "Hey, have I written enough well-received books on enough teacher-recommended reading lists that I can now just write a hazy fantasy about Pablo Neruda that no kid will ever touch?" And her publisher responded, "Sure. We'll give it a real pretty cover. In fact, Peter Sis, KING of well-received books that adults like more than kids, will illustrate it." I absolutely loved reading this book, and ended up finishing it in one sitting. The Dreamer is the fictionalized telling of poet Pablo Neruda's childhood. Pam Munoz Ryan weaves in her own poetry within the pages of her book. This narrative details different challenges that Neruda faced as a young boy; a strict father who pushed his own dreams on his children, sickness, and his love a writing that was constantly looked down upon by his father. Öyle güzeldi ki... Kendimden bir parça bulduğum kitapları keşfetmek ayrı bir zevk... Hayalperest de benim için öyle bir sürpriz oldu. Beni aldı geçmişe götürdü. Öyle çok sevdim, öyle çok özümsedim ki... İyi ki tanışmışım onunla! 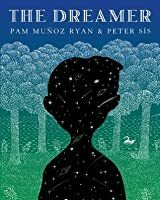 Author Pam Munoz Ryan, illustrator Peter Sis and their book designers have created a true work of art in the biographical novel The Dreamer. A fictionalized account of the childhood of Neftali Reyes (who later adopted the pen name Pablo Neruda), the book is both a physical and emotional jewel. 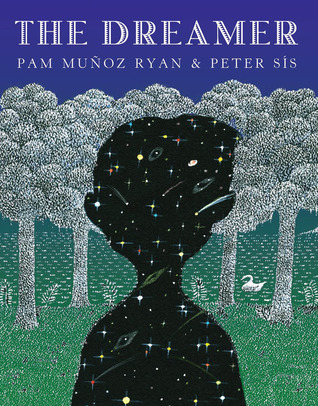 Its iridescent blue/green/silver cover brings to mind the startling beetle that Neftali excitedly discovers on his first visit out into the jungle with his father, and the unusual text color echos the poe Author Pam Munoz Ryan, illustrator Peter Sis and their book designers have created a true work of art in the biographical novel The Dreamer. A fictionalized account of the childhood of Neftali Reyes (who later adopted the pen name Pablo Neruda), the book is both a physical and emotional jewel. Its iridescent blue/green/silver cover brings to mind the startling beetle that Neftali excitedly discovers on his first visit out into the jungle with his father, and the unusual text color echos the poet's own choice -- Neruda wrote in green ink, we are told, "the color of hope." Threaded through the narrative are Sis's signature stippled illustrations and successive staznas of Ryan's "I Am Poetry." I found this completely engrossing. I could not stop reading about Neftali and his controlling, dismissive father, his childhood in the mountains of Chile, and the rest of his family: brother Rodolfo, who gives up singing to please their father, his little sister Laurita, and his loving stepmother, who tries to help him, quietly. Ryan describes Neftali noticing the people and natural things around him, collecting treasures: pinecones, rocks, feathers and words, on slips of paper -- trying to ple I found this completely engrossing. I could not stop reading about Neftali and his controlling, dismissive father, his childhood in the mountains of Chile, and the rest of his family: brother Rodolfo, who gives up singing to please their father, his little sister Laurita, and his loving stepmother, who tries to help him, quietly. Ryan describes Neftali noticing the people and natural things around him, collecting treasures: pinecones, rocks, feathers and words, on slips of paper -- trying to please his father, but finding his own interests irresistible. Little episodes are strung together like beads on a string; some of them seem dreamlike, or like fairytales. This effect is aided by Peter Sis' fantastic artwork. Printed in green ink, as Neruda preferred to write. Ryan has included a few of Neruda's poems in an afterword--be ready to supply more to inspired young writers and dreamers. Beautiful and moving and exquisitely written and illustrated, as if the writer and artist moved entirely within the voice of the poet. Not all children will love this, but some will, and some few will find their own voices within it. I will find a way to teach this in my children's and YA literature classes. I read many books-- enjoying most of them-- but it is rare to encounter a book that takes my breath away. Reading The Dreamer, I knew I was witnessing genius on the page-- Munoz Ryan's achingly beautiful prose, Sis' fanciful illustrations, and most of all, Pablo Neruda's poetry. "Ürkek ruha tuzak kuran karmaşık ağı kim örüyor?" "In the largest of worlds, what adventures await the smallest of ships?" First off, an admission: like Neftalí in this book, I am a dreamer. I know what it's like to look at the same world in which everyone else lives and see it in an almost entirely different way from them; to sense the sweet breath of hope and nobility in the least ostentatious places, and find the gentle comfort of a nurturing touch where no one else would even think to look. Such a boy with notions like "In the largest of worlds, what adventures await the smallest of ships?" First off, an admission: like Neftalí in this book, I am a dreamer. I know what it's like to look at the same world in which everyone else lives and see it in an almost entirely different way from them; to sense the sweet breath of hope and nobility in the least ostentatious places, and find the gentle comfort of a nurturing touch where no one else would even think to look. Such a boy with notions like these is Neftalí, a thoughtful child with a spirit of romanticism blossoming within his heart, though the corrosive discouragement of his father eats away at the roots of his confidence every time his belief begins to grow. Neftalí is a writer in soul, his lack of physical dominance made up for by the lovely strokes of his pen, even while those strokes sit yet stored inside of their plastic vessel. "From what are the walls of a sanctuary built? And those of a prison?" Neftalí has a lovely soul, demonstrated over and over in the early events of this book. His visit to the ocean with his father, and the way that he manages to find a quiet alcove all his own in which he can be himself, despite his father's persistence in forcing him to become more physically active; the swans that he befriends and feeds and talks to in the little cabin that he finds to use as his quiet place at the beach, giving the curious birds a small piece of himself as he openly converses with them; the way that he and his sister, Laurita, give their all in a desperate attempt to nurse the swan back to health when a serious injury threatens its life. Through everything, the spirit of love moves inside of Neftalí with the open-minded wonder of an artist seeking to find his place in the universe. The fierce opposition that Neftalí continually faces from his father might seem to be a relic of yesteryear; after all, nowadays having an active mind overflowing with creativity like warm magma would not usually be considered a negative trait in a young person. I think, though, that while the specific targets of an overbearing parent in western culture may generally now be different, the concept of fathers (or mothers) who seek to control the future of their children by being too controlling of them never really changes. The problems of trying to find one's own path in a broken world are as old as literature itself, providing much of the conflict seen both in real life and in print. After all, if a parent can't understand the future of their son or daughter the way that the child sees it, how hard must it be to fight the urge to interfere? Such impulses are what made them a good, responsible parent during the early years of their child's existence. When Neftalí steps outside of his immediate issues, though, and looks up at the night sky, or at the majestic frothing ocean waves crashing down on the shore of the beach and bowing to him in submission, as it were, he can begin to let his fertile mind loose to explore the deeper mysteries of the world and universe that continue to expand around him. This is when a talented, soulful writer such as Neftalí can really begin to luminesce, can begin the process of learning about what the events of his own life really mean and how in the bigger picture, those sometimes painful personal moments teach him more about life in general than he could have ever learned without having grappled with such problems. "There is always a way to do what you truly love." Pam Muñoz Ryan does a very good job of hiding the little secret of the book until right at the end. You see, Neftalí is not just your "average" dreamer, but has something special in his future, something that will scatter the memory of his lifetime to the four corners of the earth and keep alive the embers of his passion for literary creation long after he has drawn his parting breath here on earth. And who deserves more to be forever remembered than a soul as beautiful as Neftalí, whose love leaves an invisible but very real handprint behind wherever he goes, shimmering in its warmth for those with eyes to see it as they ponder, like Neftalí did, the impact of a life built upon the foundation of "Amor"? The Dreamer is a story of quiet, true wonder, a personal journey into the minds and hearts of each and every reader who chances to turn its pages, and absolutely deserving of the awards it has received. I walk away from the experience with a deep affection for Neftalí and the world he left behind, as I stare out at the same night skies his tender eyes watched, considering what it means to live under that same heavenly expanse. Those are the kinds of thoughts conjured by by reading The Dreamer, and by knowing Neftalí, whose beautiful soul will long stay with just about any reader lucky enough to meet him in this book. The message to follow your dreams is wonderful, making poets "cool", especially those from other countries is a great idea, and Pam Munoz Ryan's questions combined with Peter Sis' drawings are fantastic such as "Which is sharper? The hatchet that cuts down the dream? Or the scythe that clears a path for another?" My lack of enthusiasm for the book is directly related to my having lived in Chile for six years and being married to a Chilean. Chile is an interesting land of contrasts. The literacy r The message to follow your dreams is wonderful, making poets "cool", especially those from other countries is a great idea, and Pam Munoz Ryan's questions combined with Peter Sis' drawings are fantastic such as "Which is sharper? The hatchet that cuts down the dream? Or the scythe that clears a path for another?" My lack of enthusiasm for the book is directly related to my having lived in Chile for six years and being married to a Chilean. Chile is an interesting land of contrasts. The literacy rate is high and the interest in politics and current events is also very high. However many, not all, Chileans consider reading "anti-social", something I was chided for regularly. Unlike in the book, there was no library at a seaside town. I never found a public library in the whole country, although, I heard vaguely that there was one in the capital. A magazine/book store would be more likely. My point is that there were many cultural things that made the father who he was. He was not Dave Pelzer's mother. College entrance exams are very tough in Chile and peasants, at least fifteen years ago when I was there, were very real which tends to make fathers want better for their children. Families regularly took month vacations to the beach and the "sink or swim" swimming method made a champion swimmer out of my own husband. These aren't the best parenting techniques, of course, but I guess I would have been more comfortable if the father hadn't been a complete villain. Also, although not as important, I wish there had been one last editing by someone from Chile. Parrots and Flamingos that far south? Potato empanadas? Meat and cheese empanadas are as common as hot dogs and hamburgers here, but I've never heard of potato ones. Neftali is a small, skinny boy. His Latin American father demands sons that are macho like him. The family consisting of his step mother, older brother and younger sister, are all afraid of the head of the family. Te least thing can set him off, flying into a fit of rage. When his father is not home, there is a relaxed feeling, and laughter which stops immediately upon hearing his approaching footsteps. Neftali is a dreamer, a young boy with the soul of an artist. He sees imaginary images in the Neftali is a small, skinny boy. His Latin American father demands sons that are macho like him. The family consisting of his step mother, older brother and younger sister, are all afraid of the head of the family. Te least thing can set him off, flying into a fit of rage. When his father is not home, there is a relaxed feeling, and laughter which stops immediately upon hearing his approaching footsteps. Neftali is a dreamer, a young boy with the soul of an artist. He sees imaginary images in the smallest object, making something that is lack luster to others, stellar and shiny to him. The middle child, he protects his youngest sister, while trying to understand his older brothers hostility toward his father. All too soon, Naftali is also subjected to the same treatment as his brother. There is no way to calm the brutish father, making Netfali escape into dreams. His brother has a stunningly beautiful operatic voice. Longing to pursue training in music, the father ridicules and forbids. When his father discovers all his writing journals, they are burned and Neftali knows he cannot remain strong and live in this environment. Angry, Neftali cannot understand his mother's lack of standing up for her children, and her passivity around their father. Based upon the real life of the Pultizer Prize winning poet Pablo Neruda, this story focuses on the determination, strength and resilience of the human spirit which calls to be free. The pages are interspersed with lovely poetic phrases and beautiful images. Bart: [in a snippy tone] I am familiar with the works of Pablo Neruda. The Dreamer is a gorgeous biographical novel about Pablo Neruda's childhood. While I do agree with some of the Goodreads griping that kids would never pick it up on their own, I still don't think it's completely unsuitable for children. This would make a wonderful book for teachers to teach poetry, while also sneaking in a novel study. Pablo Neruda uses common but beautiful language in his poetry, and the illustrations by Peter Sis would grab a child's attention. If I had met Pablo Neruda I'll have fallen in love with him. He had a sensibility to his world like no one else. He could see the difference of colors in the grass. I love the fact that he collects little souvenirs from nature. The story is full of poetry, images and feelings. The illustrations are unique and dream like. I read the book in Spanish. I have seen a movie about Neruda's life. In the movie someone asks him to write a letter for his love just like the story in the book. Growing up in Co If I had met Pablo Neruda I'll have fallen in love with him. He had a sensibility to his world like no one else. He could see the difference of colors in the grass. I love the fact that he collects little souvenirs from nature. Growing up in Colombia I heard many stories about Pinochet and the other dictators that hurt our people. Reading this story I felt the nervousness that all the stories gave me. It took me back in time. Some of the feelings of oppression from his father are the same than the dictators produce on people. Sadly under oppression if where some of the best writers have emerge. Don't miss the author's notes. It explains why the ink is green in the book. The fire that burned the newspaper reminded me of the destruction of the Cinema Paradiso in the movie of the same title. I love the book and I can't wait to read it in English. Remembering - What did Neftali find in Mamadre's trunk? Understanding - Neftali wonders how, "he could be absentminded when his head was so crowded with thoughts (Munoz Ryan, 2010, p. 73)." Explain what the author means by this. Applying - What examples can you find in the text that describe Neftali's relationship with his father? Analyzing - How would you compare the Chilean government, where Neftali lives, with the American government? Evaluating - Why do you think Neftali retreats to his own thoughts? To the forest? Creating - Imagine you are Neftali (Pablo Neruda) in a rain forest in Chile. Create a poem about your surroundings. Neftali is sickly & weak so he spends most of his time in bed, either reading or daydreaming; not something his father approve of. He wants him to be more ambitious for his future job. And here, we're talking about a kid who're just 8 years old. Something special about Neftali is that his imagination is so vivid, it reads almost magical. It's one of those book that after it ended, you have the urge to hug it. This is a fiction created based on Pablo Neruda's poems & biography. I've no idea it was based on a real person until I read the author's note and I've never heard of Pablo Neruda before. Reading few of his poems provided at the end of the book, I think I'm gonna love his creations be it his essays or his other poems. Looking at the layout of the book where it has large font and spacing, this book is obviously targeted for children but as an adult, I totally enjoyed it. Marvelous! The writing and the story are so beautiful that I was moved to tears more than once. Here is one page that describes the boy's feelings as his father burned his writing journals. "Neighbors peered from the windows. Wagon drivers stopped, all watching Neftali's innermost feelings turn to yellow and orange and blue. His thoughts and cares and affections grew singed and curled. The remnants of his soul floated into the sky like gray snowflakes. His despair and fury about injustice flamed Marvelous! The writing and the story are so beautiful that I was moved to tears more than once. Here is one page that describes the boy's feelings as his father burned his writing journals. "Neighbors peered from the windows. Wagon drivers stopped, all watching Neftali's innermost feelings turn to yellow and orange and blue. His thoughts and cares and affections grew singed and curled. The remnants of his soul floated into the sky like gray snowflakes. His despair and fury about injustice flamed upward and disappeared. And there was nothing he could do. The whistle blasted and blasted. Neftalie stood defeated, head and shoulders collapsed." Siendo total y completamente superficial le pondría 5 estrellas a este libro solo por la portada porque es una BESHEZA y la hamo. La edición que tengo me encanta, las ilustraciones son muy lindas y el hecho de que esté todo impreso con tinta verde es un buen toque y ¡Ayyy le quiero hacer el amor, claro que si! (buenonecalmo). En cuanto a la historia en sí, me gustó mucho: es muy tierna (como toda historia protagonizada por una criatura), bastante simple pero deja un buen mensaje, es entretenida y Siendo total y completamente superficial le pondría 5 estrellas a este libro solo por la portada porque es una BESHEZA y la hamo. La edición que tengo me encanta, las ilustraciones son muy lindas y el hecho de que esté todo impreso con tinta verde es un buen toque y ¡Ayyy le quiero hacer el amor, claro que si! (buenonecalmo). En cuanto a la historia en sí, me gustó mucho: es muy tierna (como toda historia protagonizada por una criatura), bastante simple pero deja un buen mensaje, es entretenida y muy ligera de leer (además es súper corta). Tierno y lleno de esperanzas, con el claro mensaje de lucha por la felicidad. La historia desde la infancia, adolescencia y casi madurez de Neftalí Reyes, gran poeta latinoamericano. Me sentí conectada con Neftalí en cada una de sus historias, sus tragedias y sus días felices. La ternura con la que se relata es perfecta así como la compañía de su hermana y cómplice Laurita, fue su cómplice cuando le decía lo que veía por la ventana, con la ayuda a los cisnes, con la piedra de corazón para Blanca Tierno y lleno de esperanzas, con el claro mensaje de lucha por la felicidad. Me sentí conectada con Neftalí en cada una de sus historias, sus tragedias y sus días felices. La ternura con la que se relata es perfecta así como la compañía de su hermana y cómplice Laurita, fue su cómplice cuando le decía lo que veía por la ventana, con la ayuda a los cisnes, con la piedra de corazón para Blanca, cuando le guardó el baúl, etc. I liked but didn't love this, and have no interest in seeing it on the Newbery list. I found it overly repetitive and self-consciously quiet, and it will mightily confuse your more literal children (though I enjoyed the slips into surrealism). I don't think we see a compelling presentation of plot here. I'm glad she included some of Neruda's poetry at the end, though it annoyed me that the author's note seems to be written for the parent or teacher rather than a child reader. The Dreamer was a very well written book that reminds us to follow our passions. Especially when support can not be found at home. Neftali faced an unsupportive father, a mother too frightened to speak up, and a brother who was tired of speaking up. many individuals can relate to this. The illustrations and poetry were a wonderful bonus. 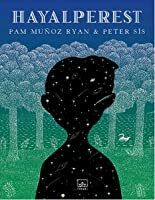 In poetic and expressive prose and with captivating illustrations by Peter Sis, Pam Munoz Ryan takes the reader inside the childhood of the Chilean poet Pablo Neruda. This is a book that will stick with me for a long time and it'd make a great addition to units on poetry. Hand this one to the young writers and dreamers in your life. “Pablo Neruda's poems tramped through the mud [with the fieldworker]...knocked at the doors of mansions...sat at the table of the baker...The shopkeeper leaned over his counter and read them to his customers and said "Do you know him? He is my brother."